Our first bracelet this week is an Anthropologie inspired bracelet. 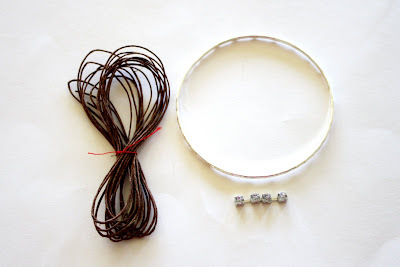 Like the tutorial I did for the Accordion Strands necklace, this is a designer piece of jewelry that uses techniques I did as a child and have made for as long as I can remember. While the colors are a bit different, mine looks just the same! The Terra Scintilla bracelet retails at $38 for two bracelets (although it does appear to be marked down). 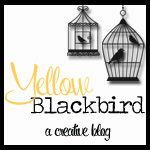 You can make your own for much, much less! If you can find a bracelet with the 4 jewels already attached, that would be a little easier to use. I looked and looked for one but had no luck. Cut four jewels from your trim. Follow the directions on the package of your glue to attach the jewels to the bracelet. 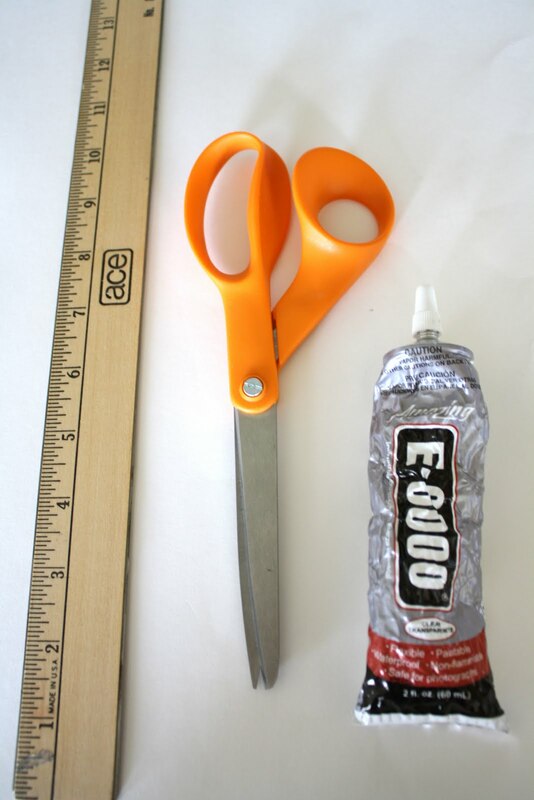 Allow for the drying time specified for your glue. 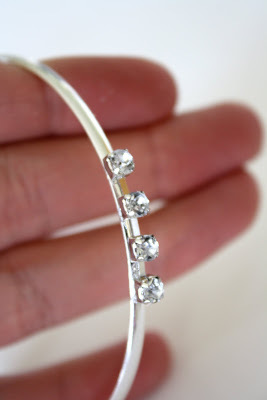 This will also work if the bracelet has a slight texture. Cut 120 inches from your hemp. Find the middle and put it behind the bracelet. I like to start on the opposite side from the glued jewels. Cross the left end of the hemp over the bracelet. Cross the right end of the hemp over the left end. Pull the right end under the bracelet and up through the loop on the left. Pull it tight and you have your first knot. Now, repeat on the other side. Cross the right end over the bracelet. Cross the left end over the right piece. 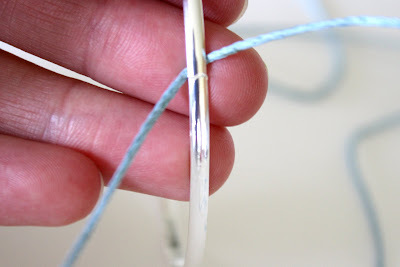 Take the left end, pull it under the bracelet and up through the loop. That's it! Now continue this process. Be sure to switch back and forth from left to right side with each knot. 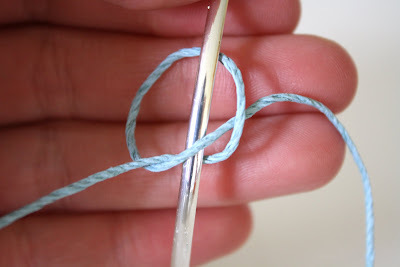 You can tell which side you are supposed to be on by looking at the last knot you did. Look at the photo below. See how the outside loop is on the right hand side? That means that my next knot will begin with the right side of the hemp. Continue this process until you reach the jewels. 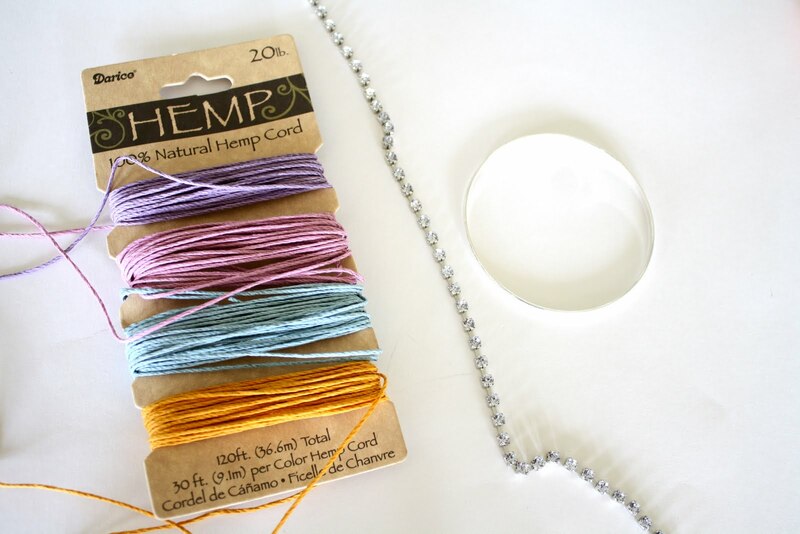 Be sure to tie as many knots as you can so that the hemp is snug up against the first jewel. Now, tie your next knot as described above, just go around the jewel. For the size of my materials, I could fit two knots in between each jewel. Do as many as you can to make it a snug fit until you reach the end of the jewels. Continue tying knots until you reach the beginning of the hemp. Again, fit as many knots to make it nice and tight. 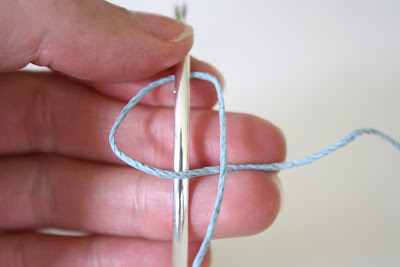 You will want to end on a knot that starts by crossing the right piece first so that you can't tell where the end is. Bring the strings to the inside of the bracelet and tie one simple knot just like you are about to tie a bow. 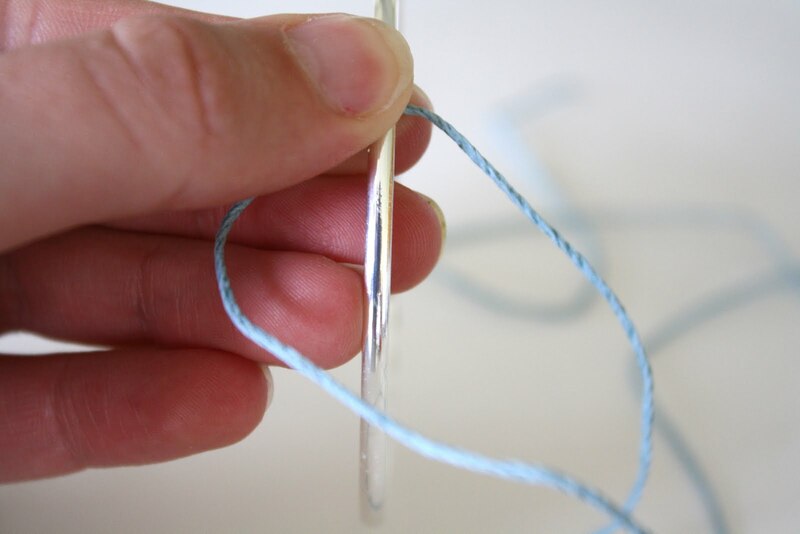 Put glue over the knot, wait for it to dry, and trim the ends of the string. DO NOT cut the ends off until you have finished the gluing process or your knot will come undone. That's it! Now you have your own Terra Scintilla Bracelet. 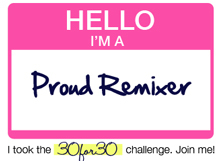 Make some in all different colors! 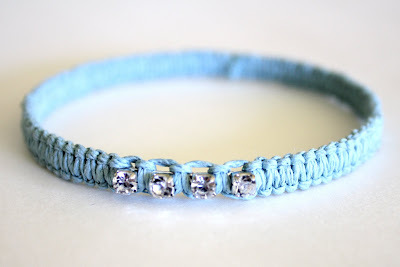 This is a really fun project, but can be a lot of materials to buy (and money to invest) if you only want to make one or two bracelets. 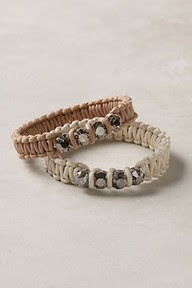 To help you out, I have created "Anthropologie Inspired Bracelet Kits" for sale in my Etsy shop. Buy a kit to make two bracelets for $4.50. You can also buy the finished bracelet in your choice of colors 1 for $9.50 or 2 for $18. 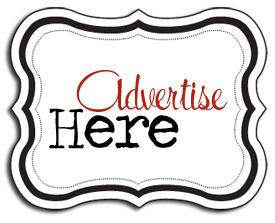 If any of the listings appear to be sold out, let me know and I can set up a custom order for you! Please don't hesitate to ask questions! It takes just a minute to catch on to the process, but once you have got it- it's pretty simple. I taught my teenage nieces how to make these the other day and they were able to pick up on it really fast. Shop Your Closet- party next week! Who I Met and a Winner!